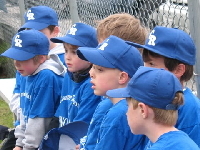 Welcome to the main page for the Five Town Little League baseball divisions. We have Majors division for 9-12 year olds, and two Minors divisions ("Triple A"/kid-pitch and "Double A"/coach-pitch) for 7-11 year olds. April is here, which means it's baseball time. Our registration numbers are looking strong, so we're sure to have a great season. Let's get it started on a good foot with our April Indoor Practice series, starting this Wednesday evening. Player's last name begins with A-K, please come from 5:00 to 6:00 p.m. Player's last name begins with L-Z, please come from 6:00 to 7:00 p.m. Please bring clean sneakers (no muddy outdoor shoes on the gym floor) and your baseball glove! Please arrive 5-10 minutes before your assigned time and wait in the hallway until the coaches welcome you in. We hope to have someone checking players in and handing out nametags. Please help with this process to the greatest extent possible. We hope to have a 15 minute parents meeting in the cafeteria during each hour. Please stay tuned for this and we'll do our best to explain how the season will shake-out and answer any questions. Answering the most popular question now: Teams will be organized over the next three weeks and announced at the final Indoor Practice on August 24. We cannot promise all "buddy request" will be accommodated, but we will do our best. April is here, which means it's baseball time. Our registration numbers are slowly building, so we're sure to have a great season. Let's get it started on a good foot with our April Indoor Practice series, starting this Sunday afternoon. Player's last name begins with A-K, please come from 2:00 to 3:00 p.m. Player's last name begins with L-Z, please come from 3:00 to 4:00 p.m.
Answering the most popular question now: Teams will be organized over the next three weeks and announced at the final Indoor Practice on August 28. We cannot promise all "buddy request" will be accommodated, but we will do our best. Please stay in touch on this score. [Mar 01 2019] 2019 Pre-Season and Regular Season Registration Open! Sign up for Regular Season (Minors and Majors) here. Sign up for Majors Pre-Season here. 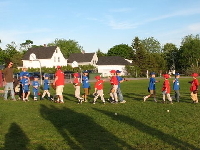 Follow Five Town Little League on Facebook! [Feb 12 2019] 2019 Baseball Registration Now Open! • All schedules are posted at our SportsOffice website (pending). 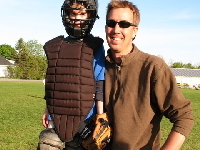 Go to http://ftll.sportsoffice.com, choose "BASEBALL" under programs, and everything you need is one click away. Register separately for 2019 Regular Season and Pre-Season Clinics Series at http://ftll.sportsoffice.com. • “Baseball League Age" is determined based on your player's age as of August 31, 2019. If your player was born on August 30, 2010, he is Baseball Age 9 for 2019. If your player was born on September 2, 2010, he is Baseball Age 8 for 2019. • All players who will be Baseball Age 9, 10, or 11, in 2019, and who played "Triple A Minors" in 2018, are strongly urged to tryout for Majors. We encourage our young players to find the self-confidence and courage necessary to attempt that next step. Parents who have questions or concerns should reach out to Minors Coordinator Peter Rollins (rollins@midcoast.com) or FTLL President Rick Thackeray (rthackerayjr@gmail.com) with any questions.